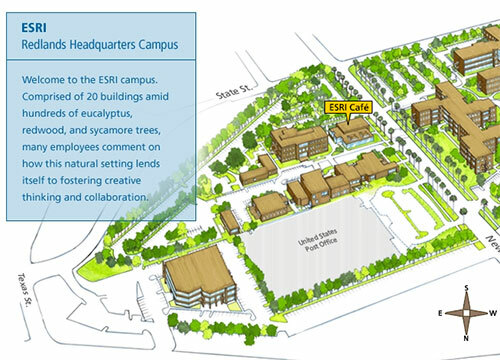 I see that ESRI has posted a “virtual tour” of their Redlands campus. I’m left wondering why ESRI didn’t use their own ArcWeb Explorer and some of those cool demos that they showed at the Dev Summit (you know with the videos playing right inside the flash viewer). I swear if ESRI would just use some of the amazing stuff they do themselves, people would be blown away. This campus tour looks more suitable for a bank than the largest GIS company in the world.